Construction work for CMA CGM’s new multi-temperature warehouse at DP World London Gateway has started. Eric Legros, CMA CGM Vice President Specialised Products and Value-Added Services and Jean Vanmalle, Business Development Manager Inland – Supply Chain & Logistics joined DP World executives for a ground-breaking ceremony at DP World London Gateway’s Logistics Park. CMA CGM has taken a long-term lease on the build-to-suit development, which it will occupy through its international freight forwarding and logistics solutions subsidiary. The warehouse is sited on a 2.5-hectare plot adjacent to DP World London Gateway’s deep-water port on the River Thames with main road access to London. The U.K. government aims to address one of the big challenges of Brexit by creating a so-called inland port where imported goods can be checked without causing logjams at the coast, two people with knowledge of the plan said. Her Majesty’s Revenue and Customs is in talks to rent a warehouse at Magna Park in Milton Keynes, about 70 miles (113 kilometers) from the coast and 50 miles northwest of London, the people said, asking not to be identified because the negotiations are private. Goods from the European Union could pass through customs there after the U.K.’s departure from the bloc. HMRC is talking to the owner of the property, Gazeley, about the lease, which is yet to be signed, the people said. A spokesman for the European warehouse developer owned by Singapore’s GLP Pte declined to comment, while an HMRC official said inland customs checks are part of its “business-as-usual” activity. The government’s plans for the Milton Keynes site come as demand for warehouse space booms in Britain, thanks to e-commerce, which now accounts for a fifth of retail spending excluding groceries. Manufacturers including Rolls-Royce Holdings Plc warn they may be forced to hold more stock if Brexit impacts their supply chains, a trend that would stoke demand for warehousing further. The Greater London Authority (GLA) today announced that the Mayor of London, Sadiq Khan, has requested additional powers to enable him to "effectively tackle non-road pollution sources in the capital," including shipping emissions on rivers and canals. "With ambitious plans in the growth of traffic on waterways, unless sufficient controls are introduced, the number of people exposed to this source of pollution will only grow," explained GLA. "Sadiq wants to see the regulations simplified so that there is a single regulator with the ability to charge and enforce and a single emissions control framework." 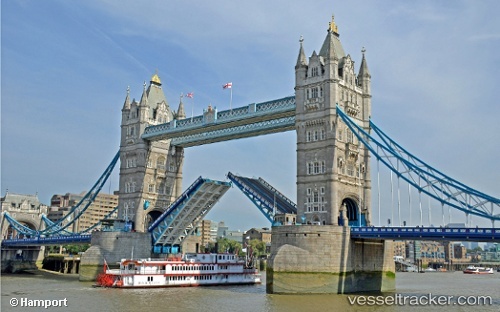 The proposed regulatory body would be able to set minimum emission and other technical standards for specific classes or types of vessels, and would provide clarity for local, national, and international shipping utilising the Thames and canals.